Over the first seven months of the year, there were 96 price hikes for every price cut, the AP found. 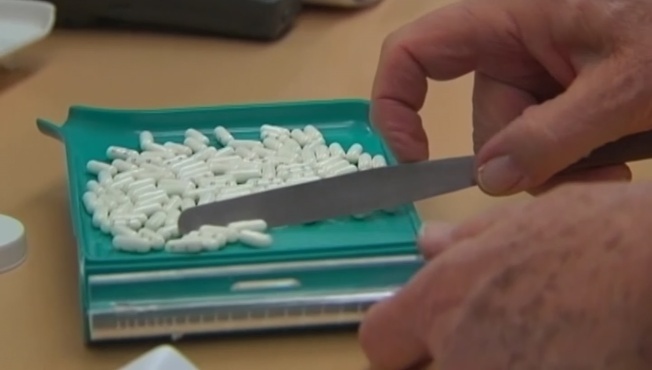 77 percent of Americans consider U.S. prescription drug costs "unreasonable." President Donald Trump made reducing drug prices a key promise during his election campaign, repeatedly accusing drugmakers of "getting away with murder." At the end of May, he promised that drug companies would be announcing "massive" voluntary drug price cuts within two weeks. That hasn't happened, and an Associated Press analysis of brand-name prescription drug prices shows it's been business as usual for drugmakers, with far more price hikes than cuts. The number of increases slowed somewhat and were not quite as steep as in past years, the AP found. Over the first seven months of the year, there were 96 price hikes for every price cut, the AP found. Health and Human Services Secretary Alex Azar, the administration's point person for efforts to lower drug prices, conceded in a recent AP interview that it will be a while before drug prices fall. He noted the complexity of the medicine market and its incentives for drugmakers to boost prices so they and middlemen make bigger profits. "I am not counting on the altruism of pharma companies lowering their prices," said Azar, who was a senior executive in Eli Lilly & Co.'s U.S. business for a decade when it dramatically raised prices for its insulin products. 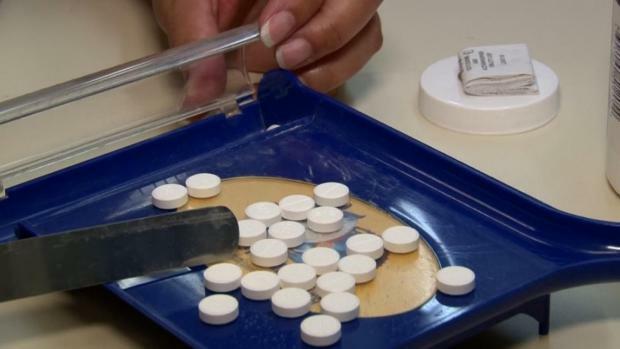 President Donald Trump is expected to announce a new program Friday that will offer free generics for low income seniors, limits on out-of-pocket costs and other reforms to lower drug prices. Democrats, meanwhile, want Congress to authorize buying cheaper drugs from Canada. The AP analyzed 26,176 U.S. list price changes for brand-name prescription drugs from Jan. 1 through July 31 in the years 2015 through 2018, using data supplied by health information analytics firm Elsevier. The AP focused its analysis on the first seven months of each year because of the seasonality of price changes and to make meaningful year-to-year comparisons. —There were fewer price increases this year from January through July than in comparable prior-year periods, but companies still hiked prices far more often than they cut them. This year through the end of July, there were 4,412 brand-name drug price increases and 46 price cuts, a ratio of 96-to-1. —In June and July, right after Trump's price cut prediction, there were 395 price increases and 24 decreases. The two dozen cuts were up from the 15 decreases in those same two months last year, but increases still outpaced decreases by a ratio of 16.5-to-1. —The median price increase, meaning half were higher and half lower, was 5.2 percent in June and July of 2018, down from 8 percent in that period in 2017. —The median price cut this June and July was 11 percent, much smaller than in comparable periods in prior years. The AP also asked 24 large drug companies this summer if they planned to cut drug prices. None said they did, though some didn't answer. Drugmakers typically say they need to keep raising prices of existing drugs to pay for costly, lengthy research to develop new medicines, though industry critics dispute that. Dr. Peter Bach, who heads the Center for Health Policy and Outcomes at Memorial Sloan Kettering Cancer Center in New York, said the AP's analysis shows there's been no big move to decrease prices. "We have a broken pricing system," he said. In the U.S., drug pricing is far from transparent. Manufacturers typically set high list prices but then negotiate rebates and discounts with middlemen, such as prescription benefit managers, to get preferential insurance coverage for their products. Many consumers never see the list price, though rising drug prices generally put pressure on insurers to raise rates. Patients with high-deductible or no insurance often get stuck being charged the full list price. Elsevier drug pricing expert Kay Morgan said the data indicate companies are being more cautious about price increases, but Trump's criticisms are just one factor. "It's everyone saying, 'This has got to stop,'" Morgan said. She cited frequent media coverage, patients and their advocacy groups pressuring members of Congress to fight high drug prices, and Congress holding hearings on huge price increases. Those include hikes for EpiPen emergency allergy shots and the actions of disgraced former pharma executive Martin Shkreli, who hiked the price of an old infection treatment from $13.50 to $750 per pill overnight. "The rate of increases has slowed down, but prices haven't decreased," said Stephen Schondelmeyer, a University of Minnesota professor of pharmaceutical economics who runs its research program on drug prices and public policy. He noted such temporary pricing restraint occurs periodically, around elections and other times when the issue is hot, but then companies go back to raising drug prices. Edward Jones drug analyst Ashtyn Evans said, "companies are self-policing more." She noted many firms are now taking one price hike near 10 percent once a year, instead of two or three smaller hikes each year. "That started before Trump was even elected," she said. Pfizer, the biggest U.S. drugmaker, angered Trump by raising prices on July 1 for 40 medicines and vaccines, totaling more than 100 products, with some increases hitting 9 percent. Pfizer had already hiked list prices in January for all but two of those medicines, most by 9 percent to 9.5 percent, according to Elsevier's data. "Pfizer & others should be ashamed that they have raised drug prices for no reason. ... We will respond!" Trump tweeted . After a call with Trump, Pfizer executives reversed those price hikes until January at the latest. Seven other major drugmakers, perhaps hoping to avoid their own Twitter spanking by Trump, have since said they wouldn't increase prices for the rest of the year. All of them had already taken price hikes on many of their products in January. Meanwhile, 77 percent of Americans consider U.S. prescription drug costs "unreasonable" and fewer than a quarter approve of how Trump is addressing the problem, according to a mid-August national poll of 1,002 adults from West Health Institute, a nonpartisan health care research group. Just this month, a fresh controversy over price hikes erupted, triggering criticism of Nostrum Laboratories. The tiny Kansas City, Missouri-based generic drug company posted a 404 percent increase, to $2,392.32 per bottle, for its generic version of a 65-year-old liquid antibiotic for bladder infections, nitrofurantoin. Nostrum's product and competitors had been off the market since January after federal regulators required that they be reformulated. Nostrum now is relaunching its version amid limited competition. Chief executive Nirmal Mulye told the AP that the maker of the brand-name version, Casper Pharma, hiked its price to $2,800, so Nostrum was "obligated" to maximize its own profit to keep the company afloat after years of losing money. Experts don't expect drugmakers to slash prices soon, if ever. Trump's "blueprint" for reducing drug prices, released on May 10, has no provisions for reducing prices of the costliest new brand-name drugs, which won't face competition for years, Bach said. Schondelmeyer predicts drugmakers "will wait to see if this blueprint is going to do anything." If it doesn't bring substantive policy changes, they won't alter their pricing strategy, he said. Azar acknowledged there's no "overnight solution," but he said the administration is making progress on blueprint proposals like increasing generic competition for old drugs and giving government prescription programs more negotiating power.